EXO is back with a new song. When it got leaked prior to their official comeback, I have to admit that I was not that amused with the song. Considering how big Growl was. But then things happened so they (as well as the rest of the Korean music industry) had to postpone the release of songs and music videos and comebacks. Glad that they were finally able to release their song now. Here's a simple design I came up with inspired by their outfits in the video. In line with this, I would like to write a few (or many) paragraphs about EXO. Since this is my blog, I can be honest, right? I used to not like EXO. I saw them in person in Januray 2013 and September 2013 but totally had no feelings, whatsoever. To me, back then, they were just a bunch of made-up, packaged, sculpted and overly-hyped boys. I mean, come on! If you do follow Kpop a lot you would know that there are a lot of talented groups that don't get enough spotlight though they've been in the industry for years just because they don't come from a huge company. I guess, what I didn't like was SM. They see the fans as source of their income rather than people who appreciate the music that they do. Each time I looked at EXO back then, I'm reminded of how fast they rose to fame just because SM marketed them so wisely. I'd always tell myself that they would never have made it that far if they weren't under SM. But then, I watched the MAMA 2013. And it was Chanyeol's fault. At that time, I only knew Kris and no one else. Well, yeah, Kai. lol. Chanyeol was so adorable, chearing and singing to other group's songs. So then I searched for some Tumblr photos of him. Until a friend told me to watch Showtime, and I did. From episodes 1-3, I was only watching for Chanyeol. Until episode 4 came, I just realized that I know all the faces and all the names already. And then found myself liking Chen... To make the long story short, I started liking EXO. It's funny that it took me a year to like them. Which made me understand why they have a lot of haters. EXO rose to fame too quickly, no one can ever deny that. While other groups, who are also as talented, good looking and undoubtedly hard-working as them struggle to get awards and #1s. EXO made it to top in a snap. Whenever I listen/watch EXO, I feel like I am cheating on Infinite. I mean, who cares. Infinite does not even know I exist but I'm the loyal type. So liking EXO for me is like cheating on Infinite. EXO is so cool! I mean, how did SM ever scout those 12 handsome boys? Even back in 2012/13, when I used to dislike EXO, I've always thought they were all handsome. But whenever I see tumblrs or Instagrams of loyal (aka die-hard) EXO fans, I always seem to take a step back away from them. I now understand that the reason EXO gets so much hate is not because of the boys and not because of SM...but because of their fans. Now that I like EXO, am I also being viewed like that by other people? Do they think I'm crazy and a die-hard fan as well? Someone who would follow the boys wherever they go, steal their underwear and sell it online? No, I don't want to be thought of like that. So, I always take a step back whenever I feel like I'm liking EXO a bit more. Also, because of the recent ferry accident in South Korea that caused their music industry to stop for a few weeks, I then had the chance to go back to Western movies that I used to ignore because I was so engrossed with Kpop. I watched Thor and Avengers... and fell in love with Loki! haha. I had to Google who played Loki. Then found this video. And I couldn't help but compare. 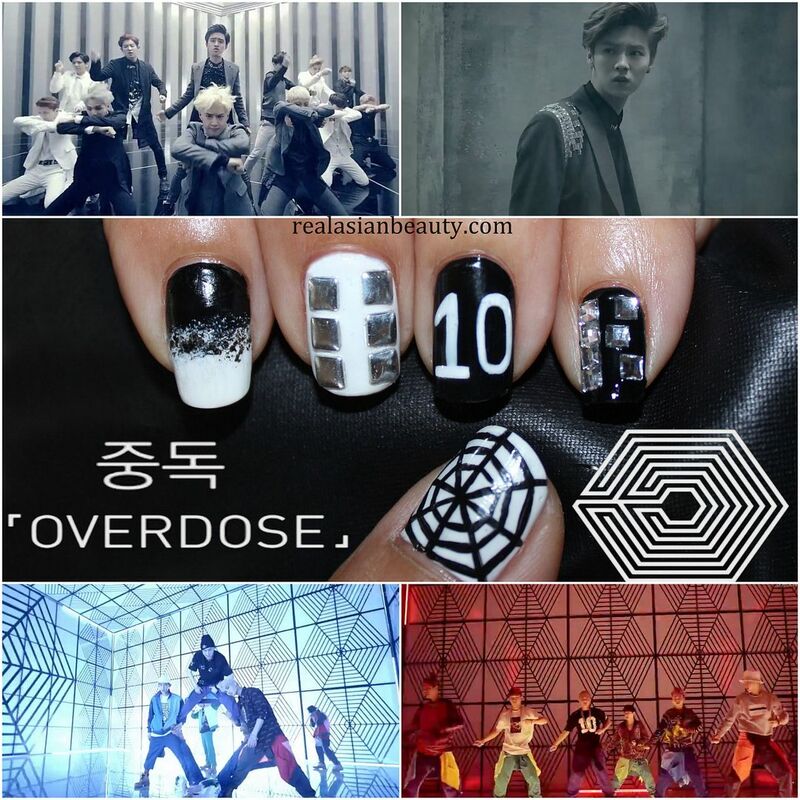 Take a look at this EXO video for example. It must be a pain to have to go through that mass of fans. Maybe the reason why Kpop idols have a lot of stalkers is because they themselves make their fans hungry and thristy for them. Maybe if they do not put barriers and walls between them and the fans, maybe fans would also try to respect them and not cross any bounderies. To me, EXO will just be like an only-child cousin with filthy rich parents. A talented, smart, good-looking yet a bit spoiled cousin that gets all the things he needs served to him right at his foot. And I will be the poor cousin who looks up to him, admiring all the things that he has and has achieved. But never dare getting close to. Ah, what was supposed to be a few lines almost turned into a novel. But I feel like I had to voice that out. If you read until the end then thank you! 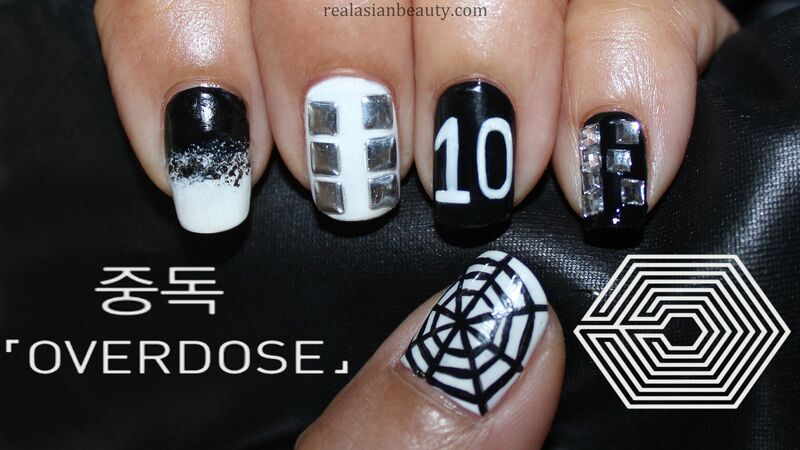 Anyway, I hope you like this nail art!